I was lucky enough to spend a season in South Lake Tahoe and it was undeniably one of the best seasons of my life. If you haven't been to Lake Tahoe, I highly recommend you add it to your Bucket List. I've never been anywhere else quite as magical and it holds a special place in my heart. Whether you've got one weekend or one season in Lake Tahoe, here are some things you don't want to miss out on! This a place best experienced with friends. Whether you travel here from San Francisco for the weekend with a group or you take a ride break with your favorite lifty, there's no shortage of fun. Spanning across California and Nevada, once you reach the top of Heavenly Resort, you're treated with Mother Nature's spectacular view of Lake Tahoe. On the last day of spring, South Lake had a surprise snowfall. A friend and I hiked up to the top of Milky Way Bowl and skied down, leaving our tracks for the rest of the summer. Summers in Lake Tahoe are just as amazing as winter. 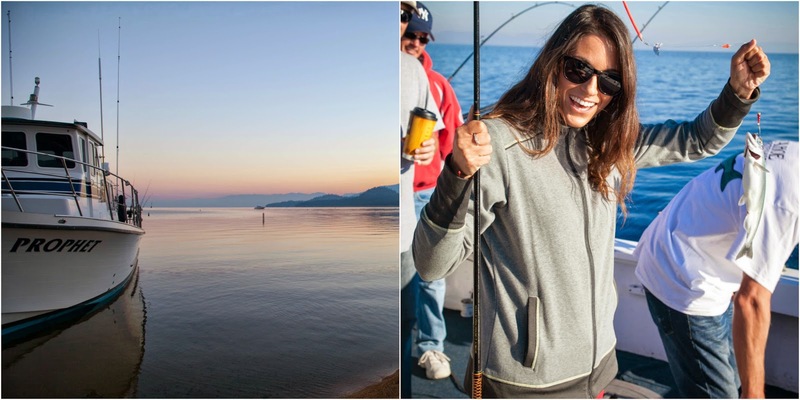 Tahoe Sport Fishing is available for private charter trips around the lake. The best part? You're guaranteed to catch fish! You'll have to wake up at the crack of dawn to make the boat, but seeing the sunrise over the lake is something you won't regret losing a few hours of sleep over. If boating isn't for you, hop on a Stand Up Paddle Board and cruise around the lake at your own leisure! No balance, no problem! The water will be a little chilly, but the underwater views are totally worth falling in for! 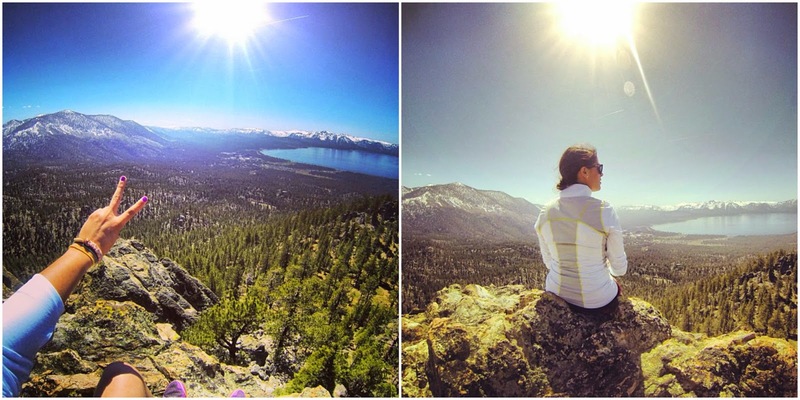 If you're a lover of great heights, like myself, South Lake Tahoe will keep you coming back for more. Important tip to remember: there are no bad views! 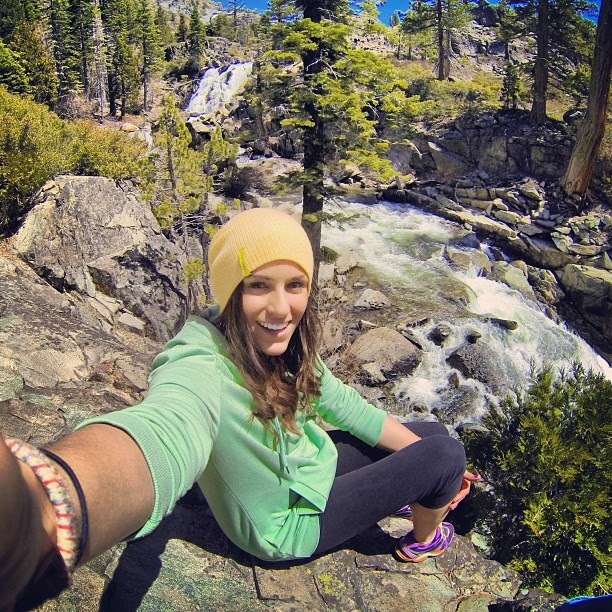 Check out this site for a few great hikes you'll want to make time for. My favorite mode of transportation around South Lake in the off season? Bike! The town is easy to navigate so biking to breakfast or to catch the sunset is a must. Sure it's fun to ski, hike, bike and boat...but everyday holds the promise of a gorgeous sunset. I've never been anywhere else in the states that has as stunning sunsets. Every evening holds the promise of another astounding view. Tori, great site I just stumbled on it from Twitter! I love Lake Tahoe as well, I usually visit in the summer as I prefer hiking over skiing. 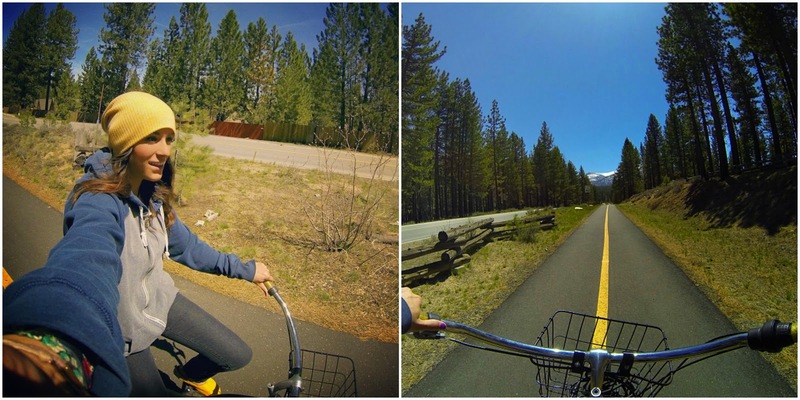 Another great hiking spot is the Donner Pass Tunnel hike, it is super trippy!